Social justice movements are increasingly working across issues and identities. This cross-movement approach more accurately reflects the multiple facets of lived experiences and leads to powerful work that defies traditional organizing and grantmaking silos. This approach is particularly evident in the current movements for immigrant rights, police accountability, reproductive justice, and more. While diverse in issues, these movements share a common characteristic: visionary LGBTQ young leaders. These leaders push movements to embrace the intersections of identities and the necessity of alliances. In doing so, they are helping to build more holistic and durable movements for change. 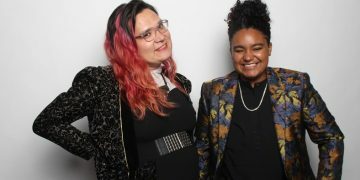 Therefore, the mission of the TMF is to support the leadership and visibility of LGBTQ young people working within and across issues and movements. The TMF is a collaborative effort of the Arcus Foundation, Cricket Island Foundation, Ford Foundation, Foundation for a Just Society, The Overbrook Foundation, and Anonymous Donors. We provide general operating support grants in order to provide grantees with the most flexibility possible in conducting programmatic work. Additionally, we provide resources for leadership development, organizational development, and peer learning. See our grantees page for further examples of organizations supported by this fund. The TMF does not currently accept unsolicited requests for support. If you are a foundation or a donor interested in learning about how you can make a contribution to the TMF or become a partner in the fund, please fill out this contact form and our team will get back to you. If you are an individual seeking to support this important work, we encourage you to consider donating directly to one or more of our grantees.